Here are 5 great ways to fire up or strengthen your faith straight from the Bible. If you think you need to have your faith strengthened then try serving someone. For one thing, it allows us to see just how much we have been blessed by God. Our church started a local nursing home ministry and it was not easy at first. We didn’t know anyone, we had some strange looks like “Who are you?” but we just started visiting people. I began to search out those who never had visitors, who had no family or friends that ever came to visit them. Just by asking the staff you can find that out. Some of these lonely souls had never had a visitor at all. They were so hungry for company…for someone to just sit and listen to them. When I left, I felt so full of joy for (hopefully) having made a difference in these people’s lives. Isn’t this what pure religion is…to visit the orphans and widows in their affliction (James 1:27)? That is what James calls “pure religion” and how many, might I ask, of these residents there who were orphaned and widowed? Almost every single one of them was. When you visit the lonely and broken hearted, your faith will be recharged because you are doing what Jesus would do if He were still here on earth. It is true that faith comes by hearing and hearing by the Word of God (Rom 10:17). Isn’t reading the Word of God the same thing as hearing it? Of course you want to hear good biblical teaching and preaching and to sit in on a good Sunday school or Bible study class because that’s another source for hearing the Word by which faith comes but simply staying in the Word on a daily basis will increase your faith. Why? Because you’ll read how God moves in the lives of those Whom He has chosen and since He has not changed, He is still working our lives too. There is real power in the message of the Bible (Rom 1:16) and “the word of God is living and active, sharper than any two-edged sword, piercing to the division of soul and of spirit, of joints and of marrow, and discerning the thoughts and intentions of the heart” (Heb 4:12). You want what is alive and active working in your life…and the sword has two edges to it…it cuts both ways and cuts down to the bone where the soul and the spirit meet, even down to the “joints and [the] marrow” and it’s able to “discern the thoughts and intentions of the heart.” Examine the Word of God and it will examine you. Stay in the Word of God and it will stay in you. Go through the Word of God and the Word of God will stay in you. It cuts, yes, but it does so in order to heal. Faith comes by the hearing of the Word of God so consume it like you do your daily bread. Feast on a daily diet of the Word and you’ll not only jump start your faith, you’ll strengthen it. This might seem like something that might discourage you because on my last time out during street evangelism, my friend and I were not well received. I suppose though that’s not the point. There is something wonderful that happens after you tell people about the only way that they might be saved (Acts 4:12). You feel such joy in your heart, not at the moment, but certainly afterwards. I guarantee that. It always fires me up after having a day doing door to door or street evangelism. It’s not up to us to save anyone (Acts 2:47) but it is up to us to tell them about Christ (Matt 28:18-20; Acts 1:8). I believe you will grow in your faith when you witness to others for Christ. For one thing, there is such joy in being obedient to Christ’s imperative command to “go” that is given in the Great Commission. There is also joy when some people respond in a way that gives you hope that maybe the message penetrated their heart. The power is in the message and never in the messenger (Rom 1:16) and Paul described as part of his joy those whom he led to the Lord. We read about this in Philippians 4:1 where he writes, “my brothers, whom I love and long for, my joy and crown, stand firm thus in the Lord, my beloved” and he asks the rhetorical question to the Thessalonians “For what is our hope, our joy, or the crown in which we will glory in the presence of our Lord Jesus when he comes? Is it not you” (1 Thess 2:19)? Adoration of God for all He has done for me and others. Confession my sins and shortcomings and thanking Him for His mercy and grace and the patience He shows me. Thanksgiving is next. Just pour out all of your thanks for all He has down. Maybe you can write out a “blessings list” of things for which all that God has done and provided (e.g. salvation, home, job, family, church). Maybe you can think of better ways to strengthen your faith than I came up with. If so, please share them with us that we can also benefit from your wisdom or insight. The more ideas the better because we all need to strengthen our faith and this is so important, because without faith, we cannot possibly please God (Heb 11:6) and we ought to always be seeking to please God. This is a helpful article, thank you for writing it! I am so glad this could help you. I know so very many who struggle with praying my brother so you are certainly not alone. Thank you for the encouragement my brother. I know what it is to visit those that have no one. My mom is in a home for the aged. She has Alzheimer and we never know if she evens know we are there. However, there is another lady there that I befriended and she treats me like if I am her daughter or like if she has known me all her life. I feel so sorry for her because it has been like maybe three or four times that I have seen someone from the church she used to visit coming to see her and I have been visiting Mom there two years. I do not know what happened to her family since sometimes her stories seem a little bit off. I always try to spend time with her but I also want to be with Mom as much as possible. Unfortunately, my friend is not allowed to be in the room with Mom and me. I never want to stop visiting Mom because I love her. My sister and I visit her every Saturday or Sunday. I wish I could visit her more often and I used to, but due to a medical limitation, I am not driving and thus I wait for others in order to visit. My aunt also visits Mom, sometimes two or three times a week. Thank God for her too. By the way, I loved your article. Yesterday, I was feeling very down and praising the Lord is what brought me out of that abyss which seems to get deeper the more I think about me, myself and I. Also, the acronym of ACTS for prayer is very helpful. I also like JOY (which I saw in another article)–Jesus, Others and You! It puts everyone in the correct order and gives you the right perspective! Thank you for spreading the message of our Lord Jesus! May the Lord keep on blessing you and your writing. Thank you Carmen. You are always so encouraging my sister in Christ. Just today we had Sunday church services at the local nursing home and they love it and need the companionship. I am so grateful for them and they seem to love the Bible preaching so we are both blessed. Thanks for your good word and may God continue to use you in your visiting’s and know you are surely a blessing to them and to so many. Hello my friend Jack and thank you for the blessing for this day and I hope that this day is celebrated in joy because of the wonderful news….He is risen! Happy Easter to you, Pastor Jack and to all of my brothers and sisters in Christ Jesus. Praise the Lord for His gift! Amen! Hallelujah! Jesus Christ lives forever!!! Thank you Carmen and thank you for the blessing for this day and I hope that this day is celebrated in joy because of the wonderful news….He is risen! Good article. All of those things will strengthen your religious beliefs and make you a better person. I however tend to separate faith from religion. Religion is a belief system. 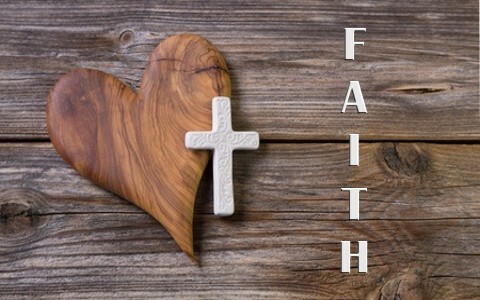 Faith on the other hand is a state of mind that if you follow God’s will for you everything will work out for the best. James wrote faith without works is dead. I don’t think he meant actual works. I think he meant exercising faith like a muscle. Faith is when God speaks to you, you follow His directive without question even if it is counter-intuitive. Thus faith is like a muscle if you don’t use it you will loose it. Oh that we could all develop the faith of a grain of mustard seed. We are all given enough faith to believe in our Savior as a Savior for all the world. From the moment we are given that initial measure of faith it is our journey to be built up in the “faith of the Son of God” as Paul stated. “I will know your faith by Your works” John 14:15 and John 15:14 are critical to faith works to build His KINGdom according to His plan through His mind in US. “OBEY” To obey we mus be positioned to listen without world distraction and hearing to obey. Obeying is putting faith into works. “Where I am there My servant Will be” is partnership. In partnership, positioned to be where He is by His “ask/command” we will have a DIVINE ENCOUNTER where we KNOW “WE” WERE PART OF AN EXPERIENCE WHERE HE MANIFESTED OUR PARTNERSHIP. (He does His part when we do our part = sonship), K-ching another measure of faith is added to our initial measure of faith to believe in Him, by experiencing Him with our obedience. To love God is to obey Him John 14:15, 15:14. Only obedience to His present asking for partnership experience will build faith in His PROVISION. Caution: “all things work out for the good TO those who love God……” LOVING HIM requires HEARING AND OBEYING. Obeying builds testimony of God encounters which is our GOD news gospel. They overcame by the blood and the word of THEIR TESTIMONY. God is about to bring His manifesting in mortal flesh through those who have this “NOW” testimony making up each overcomers book in The “NOW TESTAMENT” BOOK OF LIFE. Get ready = listen to hear. Get set, = be where He is. GO GOD = The New Testament continues in the Now Testament. “Will I find faith on earth?” Lord I pray a blessing on all who read this will find opportunity in the busy-ness of a world of distraction to focUS on our partnership with JesUS OUR Christ. to discipline US to be KINGdom builders with ears to hear. Mat truth be spoken to our souls, setting US free in JesUS our Christ, and Brother.